At long last, Bob H. and I were able to get together yesterday and go shooting! What a great day! I’ve known Bob since he was my boss at Tom Ezell & Associates, Private Investigation. Later, he was the manager of my favorite gun store, where I worked part time for a while. We’ve been friends for 32 years. He’s one of my newer friends. We went up to an ubiquitous shooting spot, I-17 North to Table Mesa Road, then headed West. Unfortunately, much of the previous open range has become private property. Fenced desert with signs reading No Trespassing and No Shooting! So we doubled back and shot perhaps 10 miles from the freeway, instead of the usual 20+. It was sad to see all the fencing and just as sad to see all the trash left behind by previous shooters, campers and 4-wheelers. On the bright side, I was given some ammo to use and was able to shoot my carry 1911, the one Bob sold me in 1983, aka the Bob H. Signature Model or ‘Bobbie’. After 20,000 rounds or so, she still shoots like a champ! We are both ammo-poor, so we each shot under 100 rounds, yesterday. Silhouettes righted up in brush, and various trash left by others were the targets of opportunity. 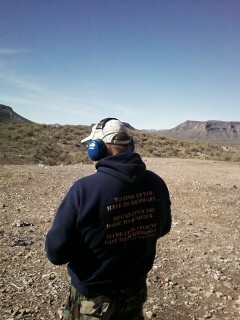 Bob shot one of his Glock .40s, which I razzed him about. As stated before in these pages many times, plastic guns have no soul! Very accurate, though. Weather was brisk. Cool breeze, no flying insects, in the mid 50s. This was probably 1100 until sometime after Noon. I was proud of my shooting, as I’m pretty rusty, but did rather well (if I do say so myself). Kinda glad Rock Springs is too far to visit regularly – too many tempting baked goodies! We returned safely, with plans to ‘do it again, soon’. Hope so. (FTC – I paid my own freight here. Bought lunch, was gifted ammo and transportation. Rock Springs Cafe gives me nothing! I always want to write Rock Ridge, of Blazing Saddles fame!) PS – Bob hates having his photo taken. He’s gonna kill me! 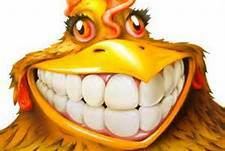 …so will be blogging/posting/stealing other’s wisdom later in the A.M.
Today, I get to do something rare (for me) as hen’s teeth. Between not having the funds for ammunition, a decent vehicle for travel and few firearms from which to choose, shooting is indeed a rarity. I miss it. We can’t stay out too long, as Bob has family responsibilities in town, but just getting away – ‘recoil therapy’ – should be fun. I’ll try to do an after-action report. Be safe! W.O.P. Guns – Are They Safe? In Jennifer’s Head recently wrote about it having been the fifth anniversary of her first gun purchase! Congratulations! One of the commenters brought up the issue of private versus licensed dealer sales. And that got me to thinking. Back when I had a gun safe (with a small arsenal collection, therein) I kept my licensed dealer guns in one part of the safe, and my W.O.P. guns in a separate part. (In politically-incorrect slang a wop was an illegal alien – it stood for With Out Papers!) The firearms I purchased legally, but privately. Now that this has become an issue, yet again (the whole fictitious gun show loophole) and as Senator Feinstein’s Further Remove Your Natural Rights Assault Weapon Ban bill includes a measure requiring documentation of private, personal sales, I thought it appropriate to mention. And most of these rules, if disobeyed, will eventually result in a confrontation with armed government authorities. Government is force. Of course, in the coming socialist utopia, that would never happen. Or we’d never read about it in the socialist-utopia controlled media, if it did. Ol’ Guffaw has his routines. Routines are comforting, because they provide order and structure in an otherwise disorderly world. I like my routines. I’ve been ‘carrying a gun’ now, on-and-off since 1974. Thirty nine years. That’s a long time. And since Arizona has had CCW laws in place, almost daily, unless I was severely restricted (like at my former workplace). I carried. Of course, I did carry to-and-from the workplace. Don’t tell anyone. It’s part of my routine. Shower, dress; put wallet in one pocket, keys, cellular telephone, speed strip and folding knife in another, the snub in her holster in another. (Unless I’m carrying the 1911 IWB). I’ve taken to carrying the snub more. Laziness, I guess. It’s my routine. And I had no firearm! For some reason, I simply didn’t gear up before leaving home! I had my wallet, keys, cell, speedloader and folder. No gun. I thought, “Oh, well, I have my knife” (like I’m a freakin’ ninja!) and had dinner @ Ted’s, then went to the library thing. The usual door was locked, with a sign reading, “Must Enter By Front Door”. So, I had to walk all the way around to the front, a semi-serious distance for a disabled guy like me. And tonight’s the night I was the opposite of vigilant! 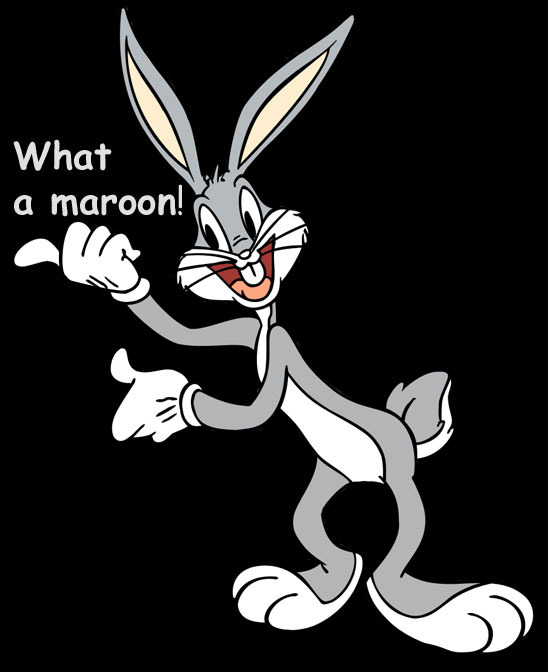 What a maroon I am! It’s gonna be ‘spectacles, testicles, wallet, watch’, with more emphasis on the watch, in the future! I admit it. I tend to believe in conspiracy theories. Not ALL of them. But, I do believe many times the ‘powers that be’ shield us from all the facts. For our own good. Because, after all, we are children. JFK, RFK, Malcolm X, Martin Luther King, George Wallace shootings don’t pass my smell test. There’s more there. 911 does. Sandy Hook, maybe not – the jury is still out. I ran into this video courtesy of Miss Cellania. While I may disagree with some of it’s content, I still found it hilarious. Sometimes, you just gotta laugh! January 26 has always been a weird day. My Mother passed away on this date when I was in primary school. I’ve very few memories of her. My nephew Brian was born on January 26, 1966. Guess that makes you almost OLD, huh bud! And I left my last employer on this date in 2009, admitted to the hospital, as I was having difficulty breathing. Turned out to be diffuse large cell lymphoma. I spent the next six months enduring chemotherapy, weird pain, weakness and hair loss. And weekly doctor visits. It looked for a while that I wasn’t gonna be around to write this blog nonsense. But, here I am :-P. I’ve been more than fortunate. People sometimes gasp when I recount certain chapters in my life. My leg disability at age 12, loss of my daughter, and being a cancer survivor. While I’ve had my moments, it’s nothing compared to Brigid’s brother and his battle against lymphoma. Or CoolChange (c)(c) watching over his beloved wife, now in hospice. They need all your good thoughts, and prayers, if that’s what you do. And if you donate blood, please continue to do so. Or start. And mark that organ donor spot on your driver’s license. It’s the least we can do. Sad PS – Rick (CoolChange) announced in his blog today that his beloved wife passed @ 5:55 yesterday. Mama Liberty commented on my post yesterday, mentioning the National Rifle Association’s flip-flopping with regard to various issues involving federal law. Specifically the whole ‘no guns in school’ thing. It seems they initially supported such a thing, then became wiser. They’ve done the same thing with regard to other gun control laws and politicians (giving some folks a Grade of A, when they voted mostly in the anti-rights tent). In short, they’re wafflers and inconsistent, at best. I’ve thought on more than one occasion about sending back my Life Membership Card (which I paid for in monthly installments!) with a better-than-terse letter regarding many of these inconsistencies. But I’ve not yet done that. Why not, you ask? Well, because, in spite of their failings, they’re still one of the best tools we have in this battle. There are others: The Second Amendment Foundation and Jews For The Preservation of Firearms Ownership come to mind. Find the group or groups you can support and do so. Four-and-one-half million people coalesced into a lobbying force is remarkable! 47% of American households reportedly possess firearms. 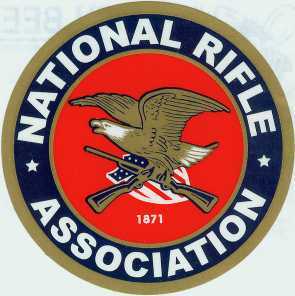 The NRA and other pro-rights groups memberships should be even larger. Fill Yer Hands recently blogged regarding a minor phenomena I’ve seen more and more of. And, frankly, have heard about for years. You’re a gun owner – why don’t you join the NRA or the SAF or some other pro-rights organization and put your money-where-your-mouth is? Because I don’t want to be on a list. You think that mouthing off in your local watering hole about the President or his policies, or buying firearms and ammunition, or prepping, or posting comments on the Internet haven’t already gotten someone’s attention? It’s been widely reported that the ‘temporary’ NICS background check files have been (illegally) saved by the FBI, and every time a licensed gun shop goes under, they are required to ship all their filed Federal Forms 4473 to the BATFE. We suspect there’s a huge database, although we’ve no positive proof. How about the DHS Watch Lists when flying, or taking a train, or traveling abroad? Or the NSA monitoring all the email traffic electronically, looking for key words like ‘guns’ in messages? Personally, I suspect there has always been a list, and I involuntarily was added to it upon my first ‘papered’ firearm purchase. And my ranting in this blog (and as a commenter on other blogs) about libertarianism, the Constitution, Gun Rights, Civil Liberties and various government abuses probably has made my file thicker. But, I don’t care. Why? If indeed there are concerted efforts to monitor the actions and locations of possible threats (e.g. gun owners and free-thinking people) I’m probably at the head of the line. Not only am I a gun owner and speak out about it, I’ve spoken publicly about the JFK assassination.